1979 – New Dehli, India. During my visit, my eyes met the realities of those suffering from the extremities of poverty. It was a sight unimaginable for those living in Japan or other developed nations. It was in that moment that I thought to myself, “I would like to help those who are underprivileged and suffering from poverty”. In December, 2012, in Dhaka, the capital city of Bangladesh, I was privileged to meet Nobel Peace Prize recipient, Muhammad Yunus, who pioneered the concepts of microfinance, contributing greatly towards the eradication of world poverty. At this meeting, he educated me with important words: “Microfinance is not enough to eradicate poverty. The next important thing is education”. As such, the concept of “education” is the guiding principle of the WSO’s aid scheme. The WSO gives underprivileged children from the world’s poorest nations the opportunity to receive vocational training, thereby leading them towards overcoming poverty through financial independence. By having our headquarters in the multicultural city of Sydney, we hear the first-hand experiences of migrants from the poorest developing nations. Moreover, I intend to formulate connections with various non-profit organisations in both Japan and Australia. Through the humanitarian and development aid of the WSO, I also believe that this will further the bond between Japan, Australia and developing nations. Through my work in the WSO, I hope to embark on the steps necessary to free children from cycles of poverty worldwide. 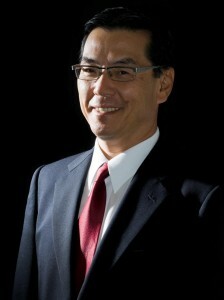 After spending six years at the Paris branch of Takashimaya, Masahito Yamaguchi migrated to Australia in 1984. Attaining a Master of Business Administration at the University of New South Wales, he worked at an Anglo-Australian investment bank as an Associate Director. In 1988, Yamaguchi established the “Nihon Brain Centre Australia”, a company specialising in visa consulting, as well as providing personnel services, student exchange and translation. He has also previously worked as the Deputy President of the Japan Club of Sydney, the largest Japanese Society in Australia. From September, 2014, Yamaguchi will be a part-time lecturer at the Maebashi Kyoai Gakuen College.